Installed 2 new bash guards on Captains Chain Ring. 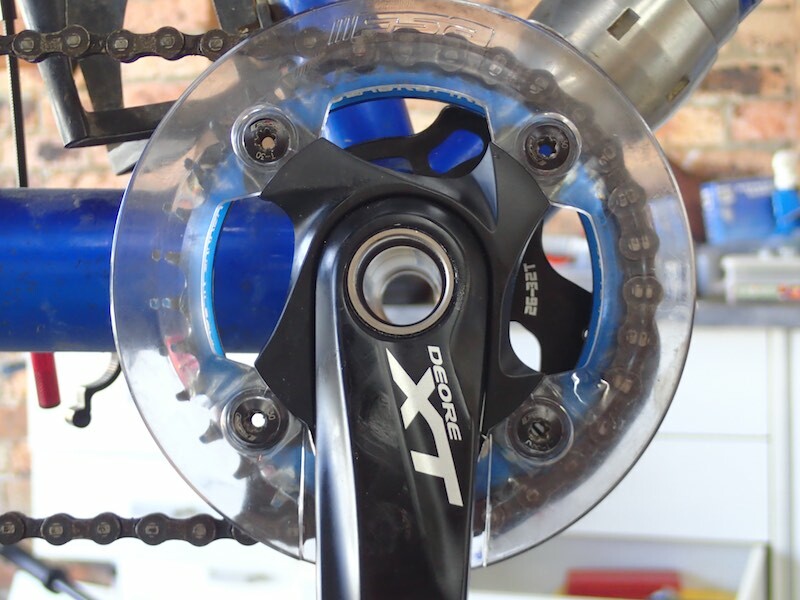 Previously I only had an FSA bash guard mounted on the outside of the Chain-ring. It was hard to find a replacement but I eventually found one on eBay in the USA. It was so expensive for freight I bought 2. 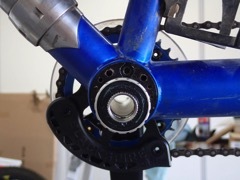 On Chain Reaction I found a Blackspire guard ($59.99) which mounted between the bottom bracket bearing carrier instead of one of the spacers and bought that as well so decided to put both on the bike.